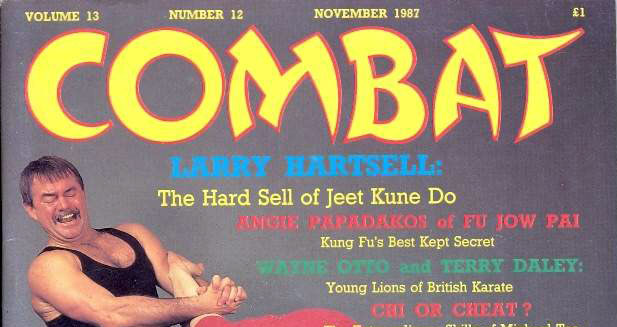 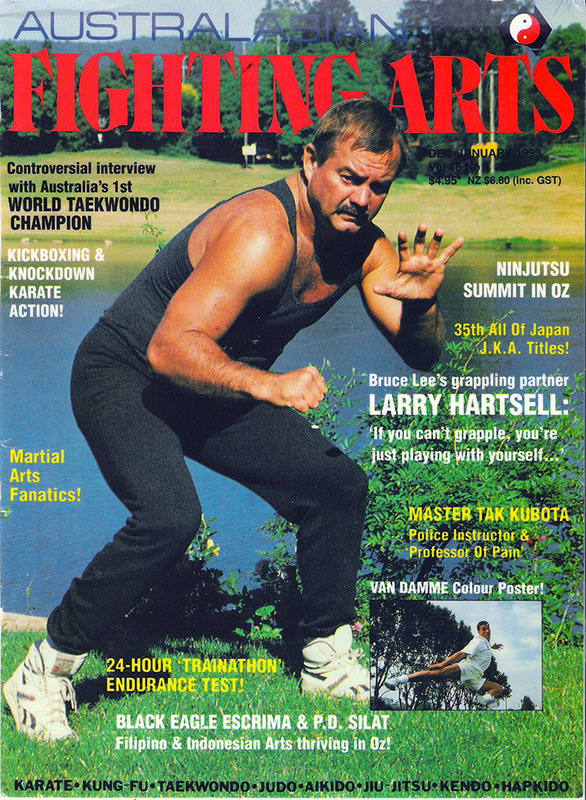 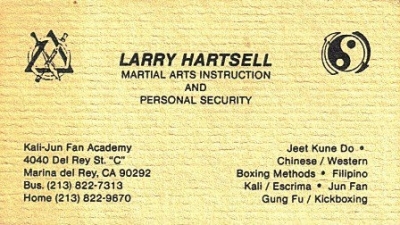 Photos of Larry Hartsell teaching and training. 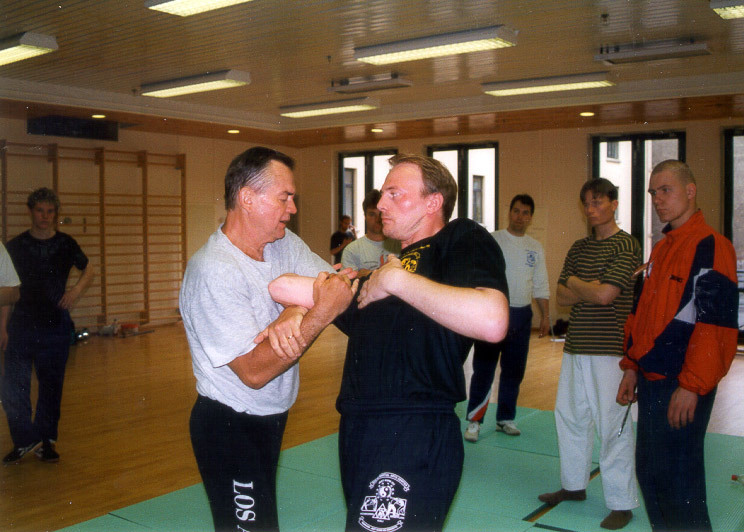 Larry Hartsell poses with his representative in Norway, Leif T. Robekk. 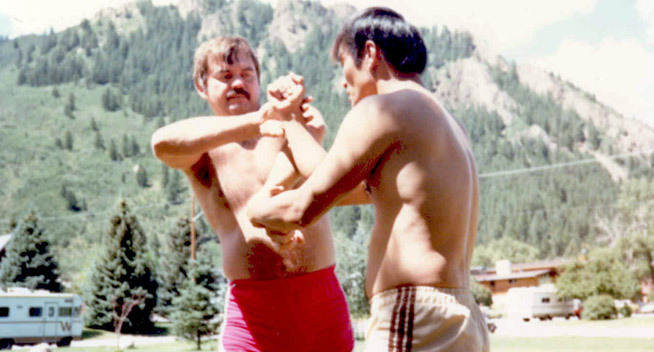 Sifu Larry and his long time student relaxing after a seminar. 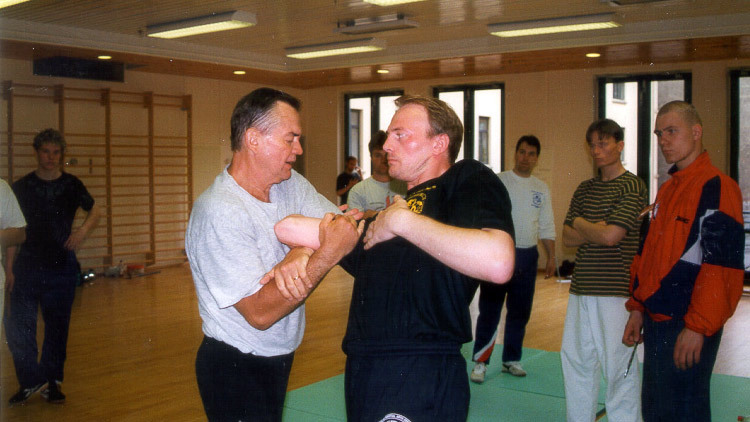 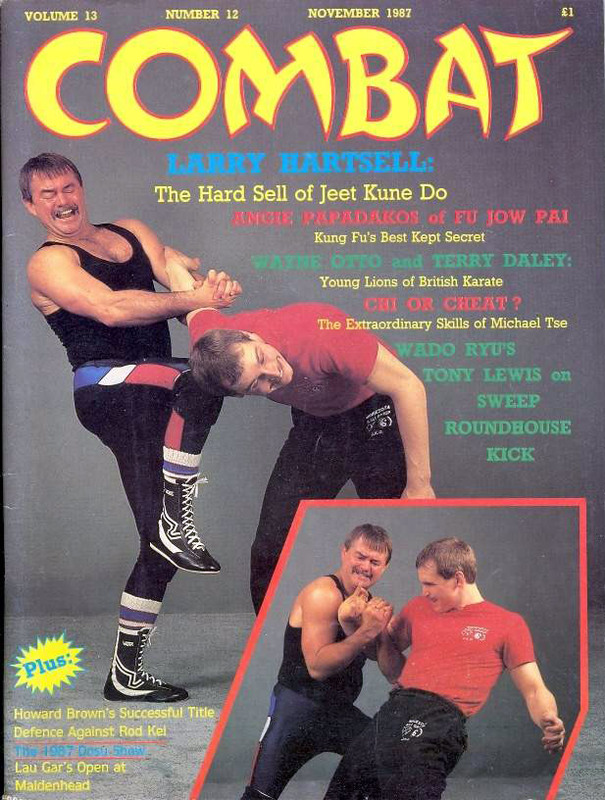 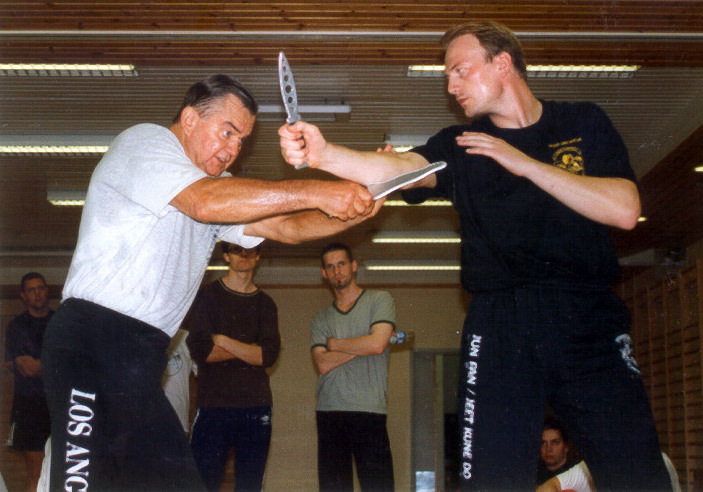 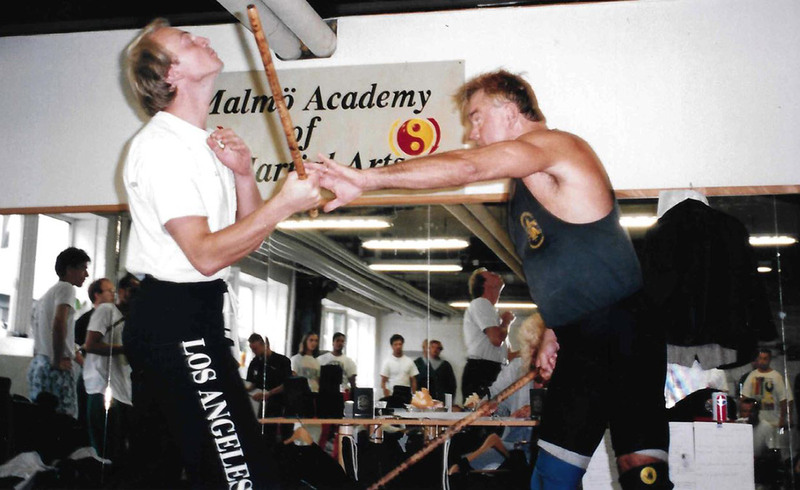 Sifu Larry gives a demonstration with Leif T. Robekk. 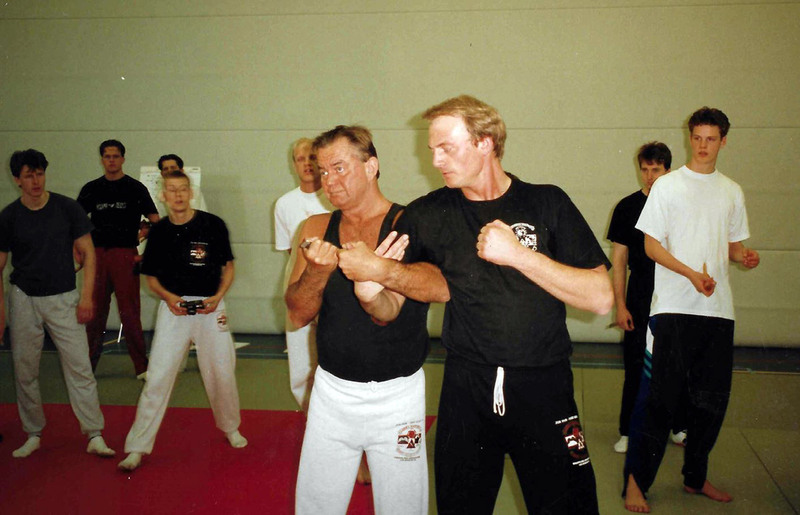 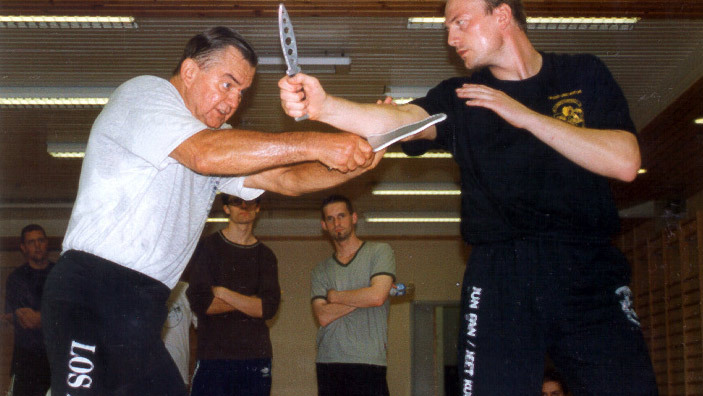 From a seminar in the 1990's. 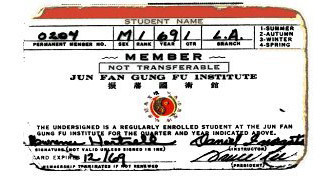 "I always encourage students to attend any seminars they want. 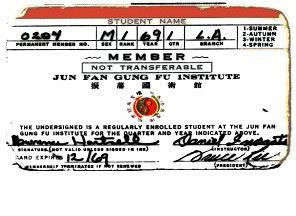 When it comes to knowledge, you owe allegiance only to yourself." 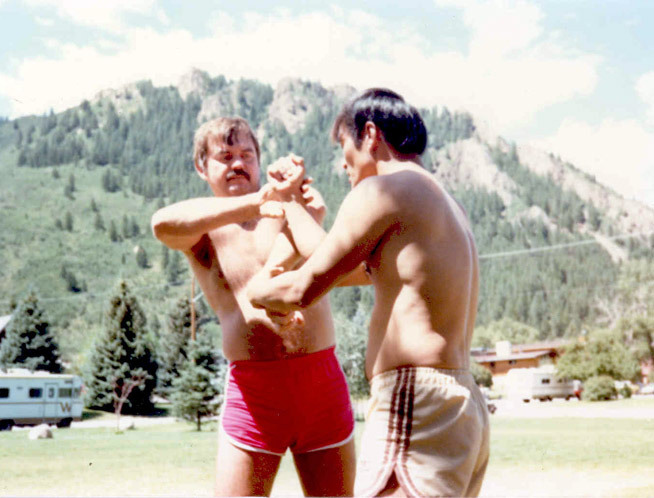 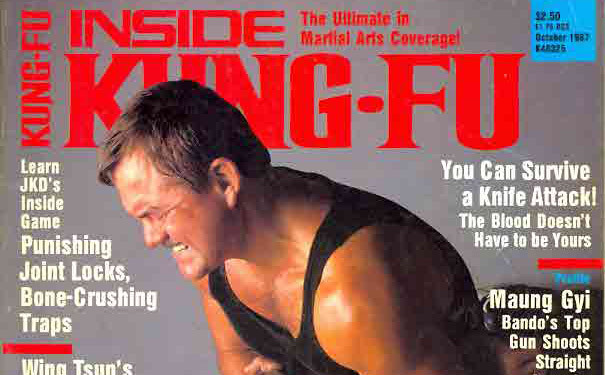 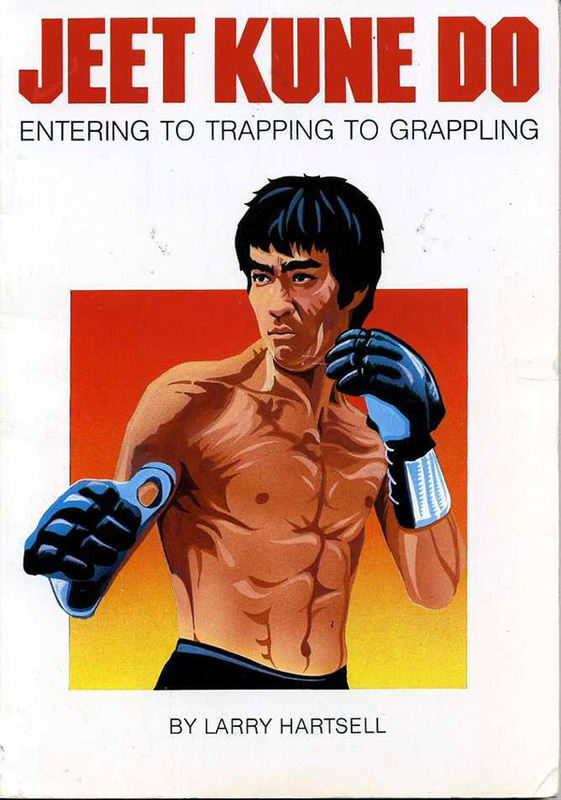 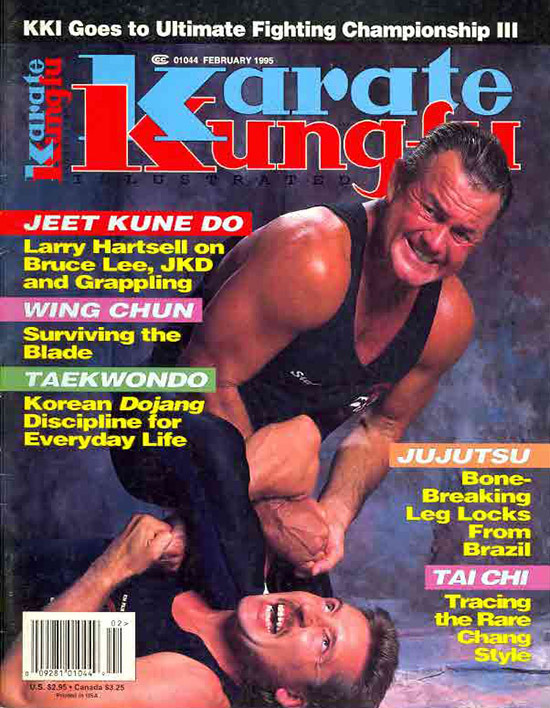 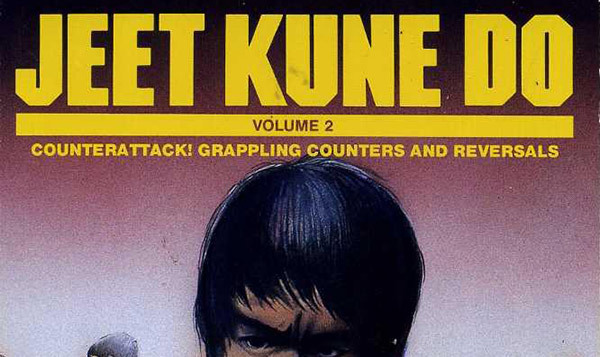 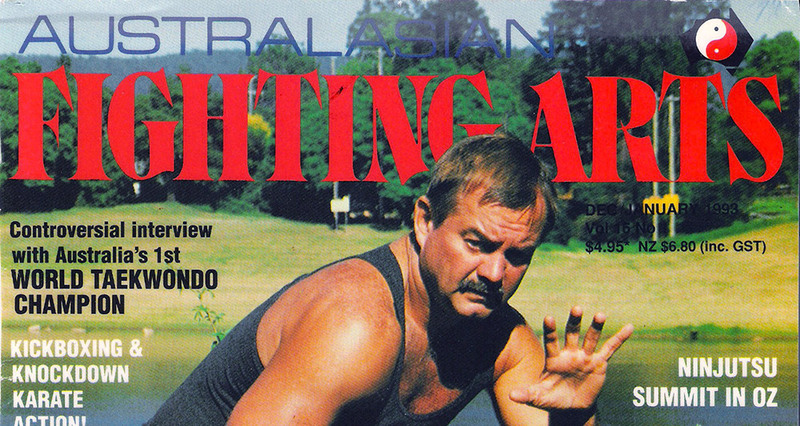 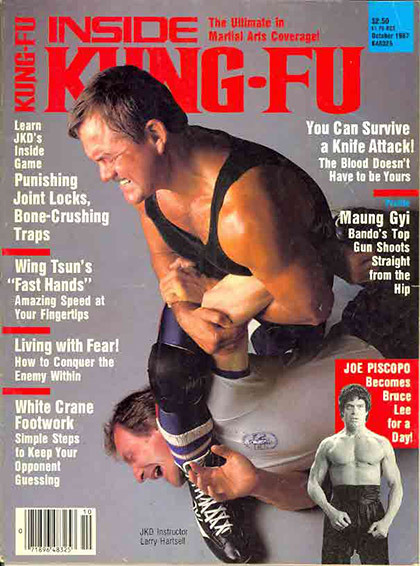 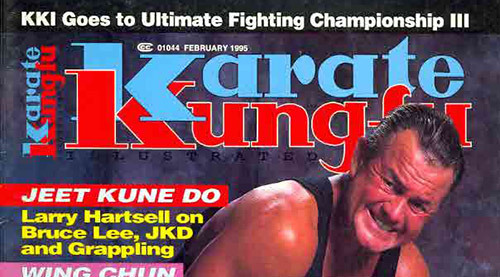 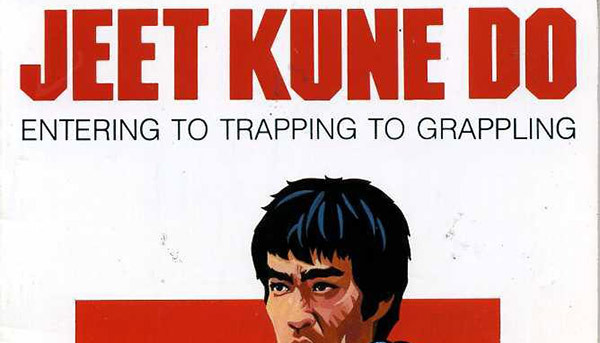 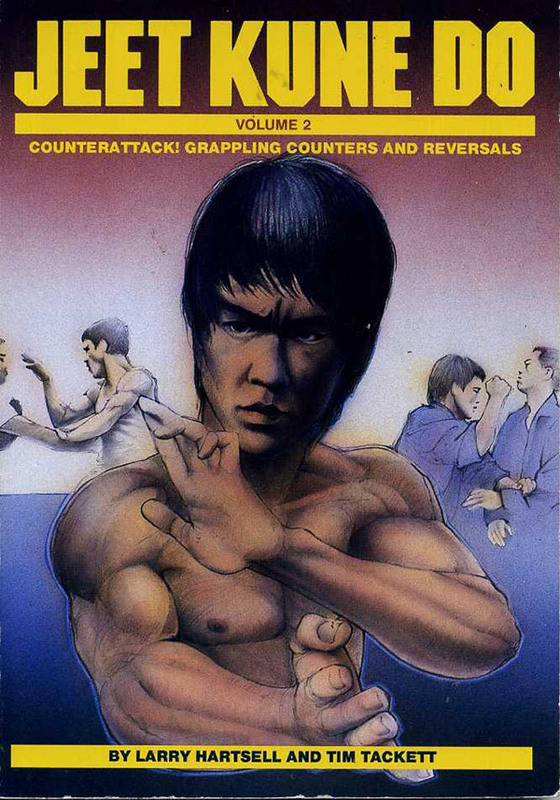 "The Jeet Kune Do principles apply to grappling when I think of the Attack by Drawing [principle], where you deliberately see an opening for the person to come in so you can counter..."